Madeline has grown so much since I captured her newborn portraits six months ago, which is why it was time to photograph the first of her milestone portraits. I was definitely looking forward to this little girl’s milestone “sitting” session for quite some time. I like to keep tabs on my “baby planners” checking in with mom every so often to see if baby is sitting unassisted yet. Oftentimes this doesn’t happen until month seven and that’s fine! Every baby is different and focuses on different skills at different times. 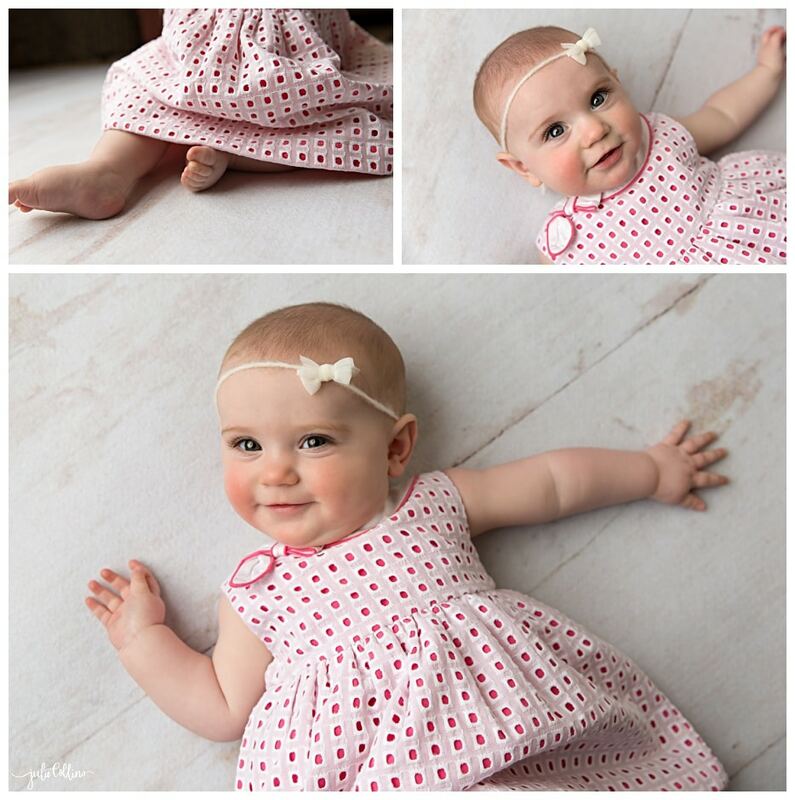 The six(ish) month milestone session is one of my personal favorites to photograph. I loved it when my own children were at this stage. I could sit them down safely in the middle of the floor with a couple of toys within reach and they’d be happy just sitting there for a while. They weren’t crawling away or getting into any trouble for this short time. Just sitting there kept them happy! 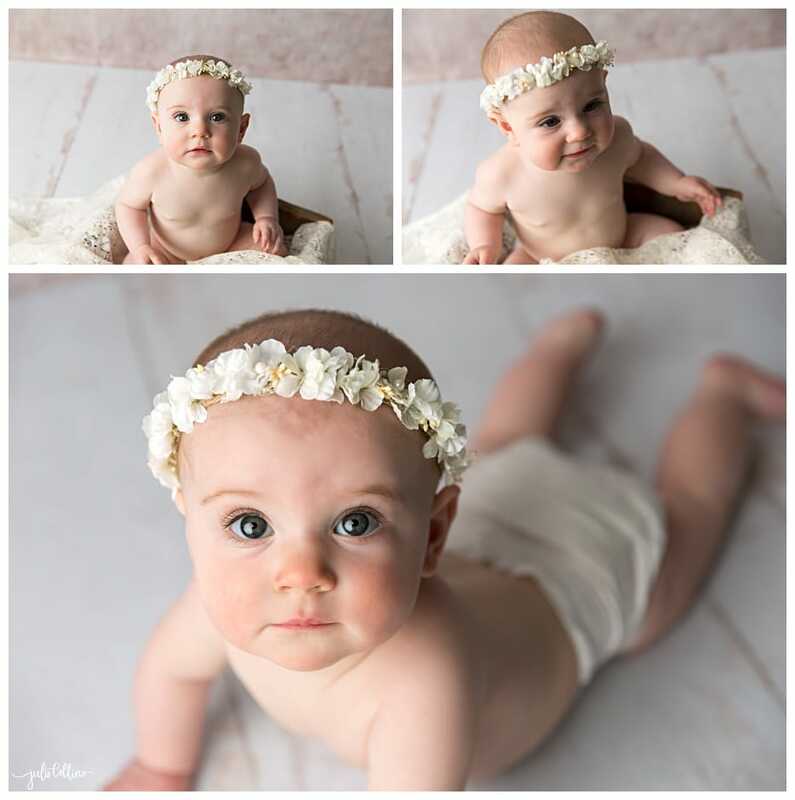 Our patience for sweet little Madeline to master this skill paid off and was rewarded with these beautiful pictures! How adorable is she?! I can’t get over her big eyes and long eyelashes! I definitely have some serious eyelash envy. Many things change with babies between their newborn and first milestone photography session but those eyes and long lashes definitely weren’t one of them! While I was taking photos of her she definitely wanted her mom nearby and we took numerous short breaks for snuggle time. 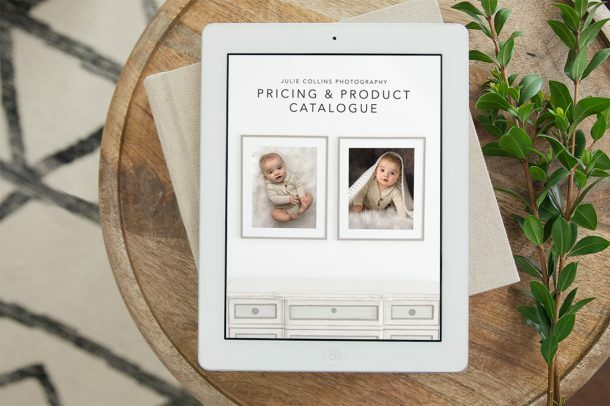 Good thing there are unlimited snuggles included in portraits with Julie Collins Photography! 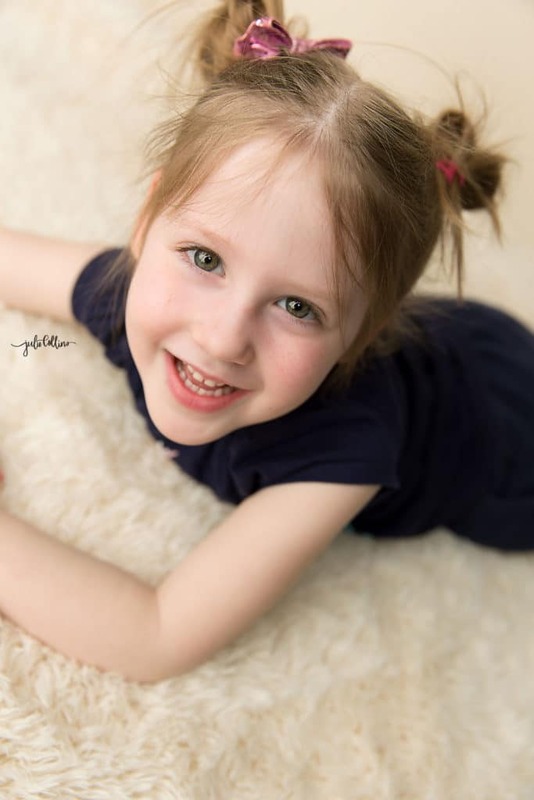 Have a look at all the sweetness of Madeline’s first milestone portraits. Even big sister got in on the action and wanted to pose for a shot. 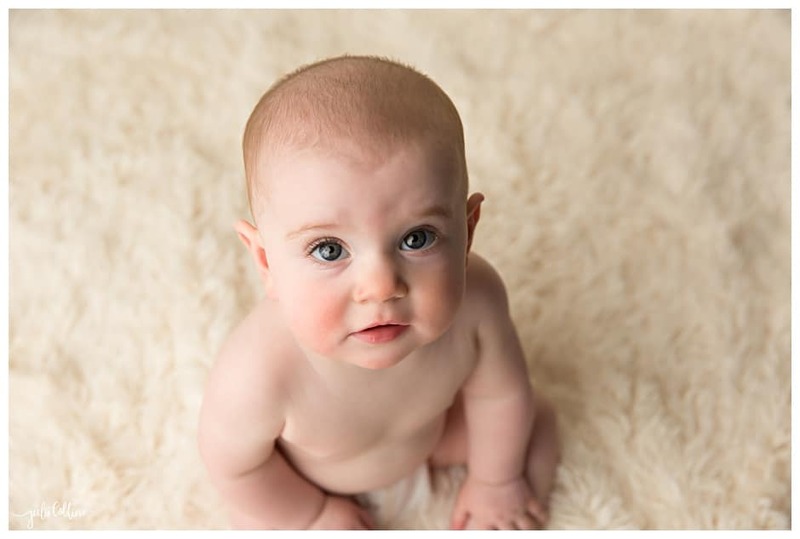 Come visit us at our newborn photography site to view more beautiful milestone baby pictures. You’ll find kids, families and seniors over there too! Darling little one! Beautiful session!